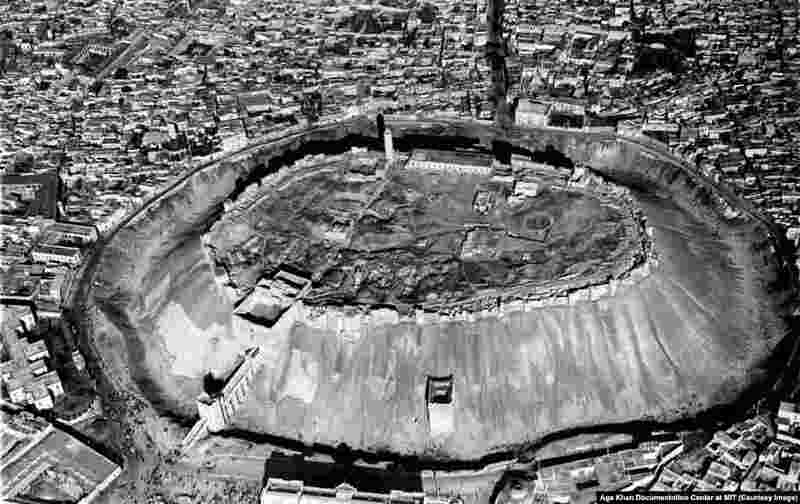 1 Aerial view of Aleppo's Citadel, photographed in 1937. When writer Gertrude Bell visited the famous trading town in 1907, she likened it to "a cup and saucer, the houses lie in the saucer and the [Citadel] sits on the upturned cup." 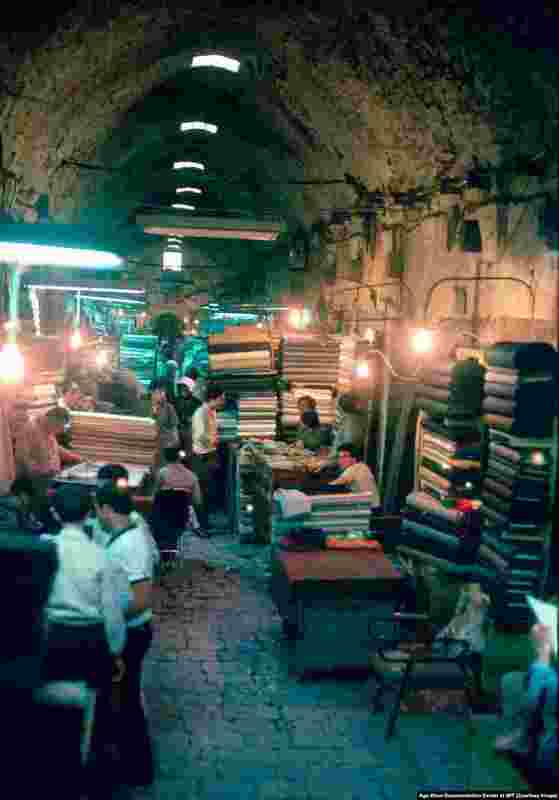 2 A souq in Aleppo photographed in the 1980s. With its position on the Silk Road, the great trade route linking Asia and Europe, Aleppo became a famed merchant center where almost anything from East or West could be bought. In the corridors of the souq, it was said, "Deals were more important than ideals." 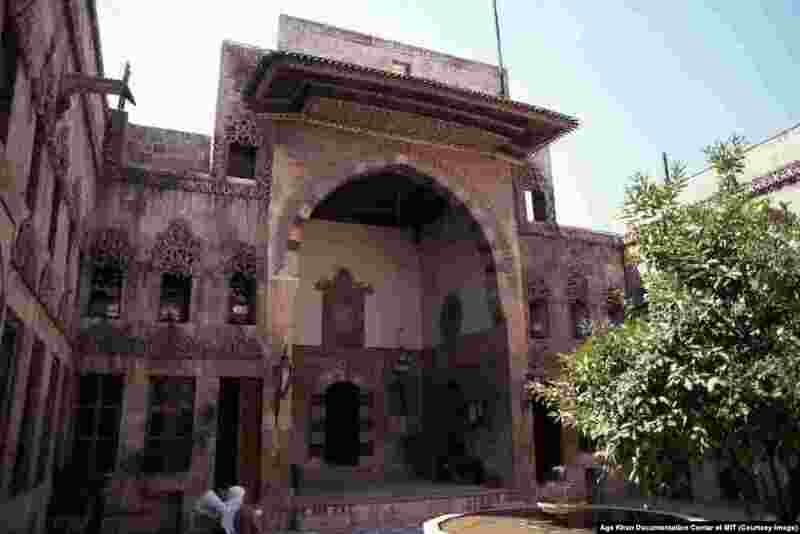 3 Ajikbash house, one of the mansions built by wealthy trading families in the 18th century. Its current status is unknown. 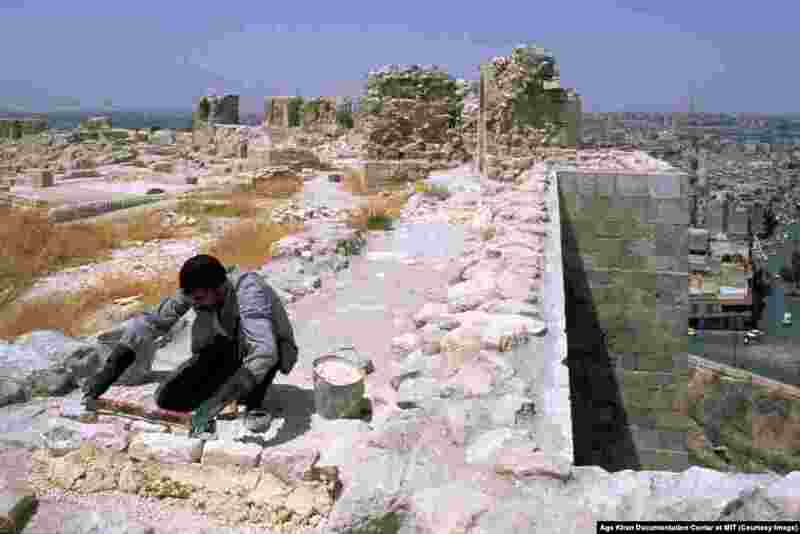 4 Restoration works being carried out on the Citadel in 2004. Much of Aleppo's old town was built under the rule of the Umayyads, a Sunni Muslim dynasty that ruled over the Middle East during what many Sunnis considered a "golden age" until the eighth century.